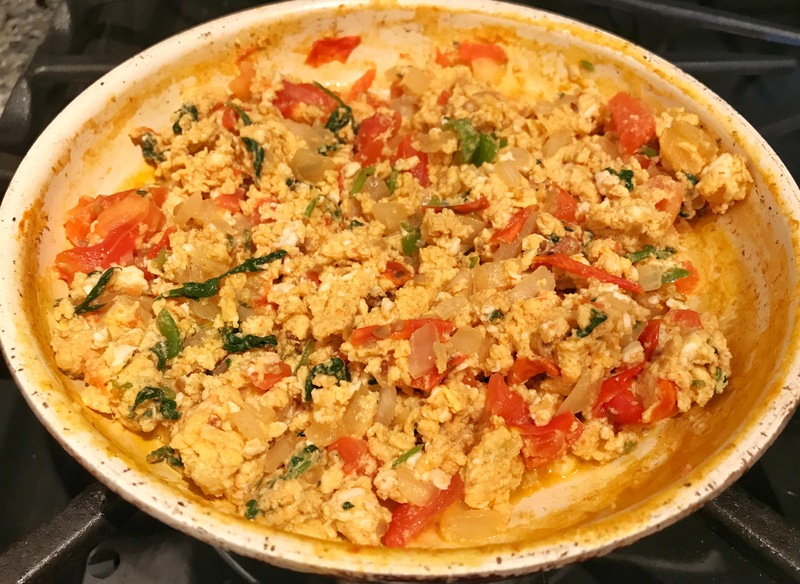 In India, egg bhurji, also known as “anda bhurji” is a breakfast staple that most people eat round the clock without much discrimination. 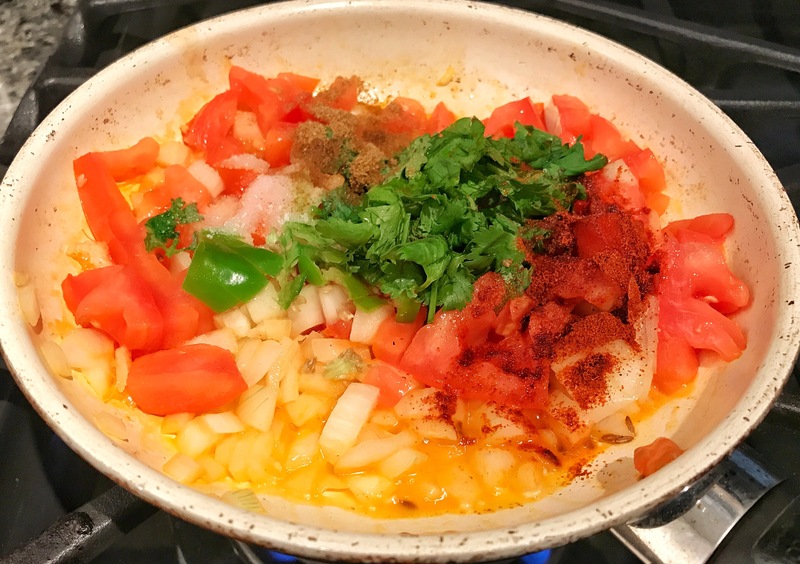 It’s partly because of its easy accessibility and partly because it’s delicious beyond words. To me it’s as common as toast, but after a very enlightening conversation with my American born desi cousin, followed by a mini family survey, it became quite clear to me that while most people think Indian food is Chicken Tikka Masala and Naan, real soulfoods like bhurji & Usal Pav ﻿desperately need to establish themselves out here in the west!! So while this is essentially part of my effort to put bhurji on the western map, I’m going to give it a western twist because well, that’s my thing! 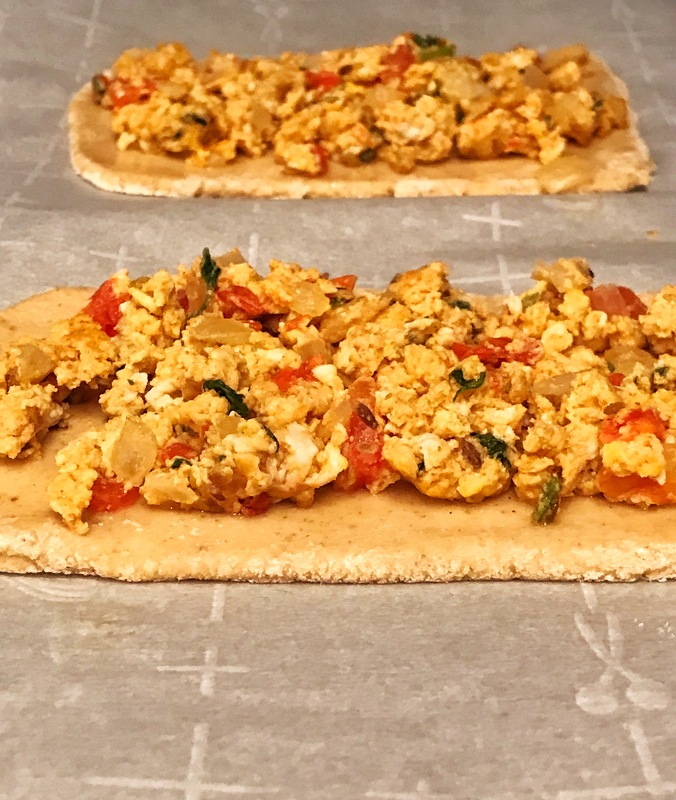 Presenting the Egg bhurji Flatbread and I’m making this one gluten free, because it’s ﻿easy and it’s worth the effort. 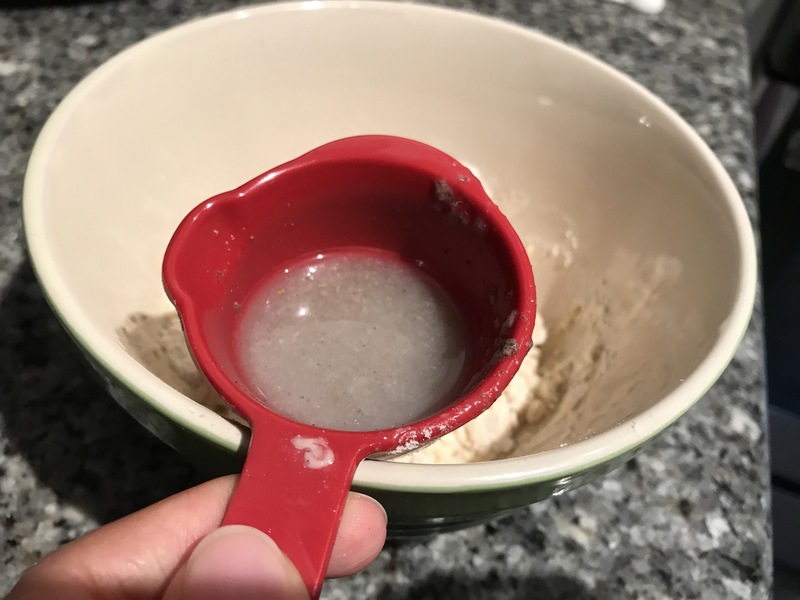 Feel free to use your favorite dough recipe if you’d rather do that, I won’t judge! 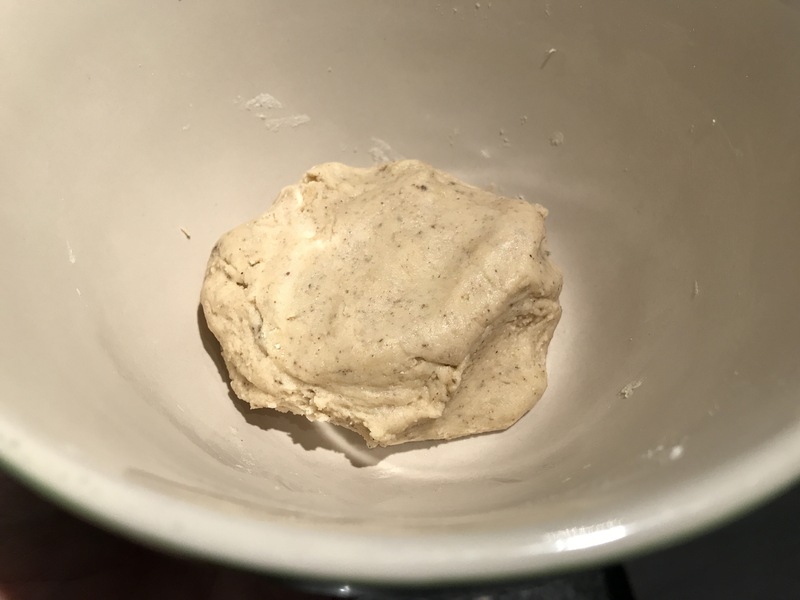 Mix all the dough ingredients in a bowl. Add all the ingredients, one after the other. 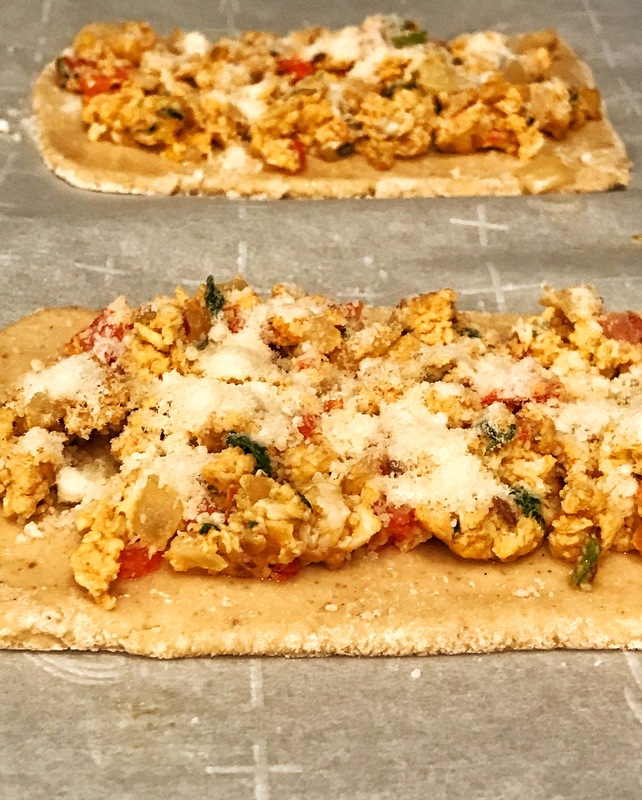 Cook down to a semi-dry scrambled eggs texture. Season well and let it cool. Dusting the work surface generously, roll out the dough in 2 rectangles of about 1/4″ thickness. 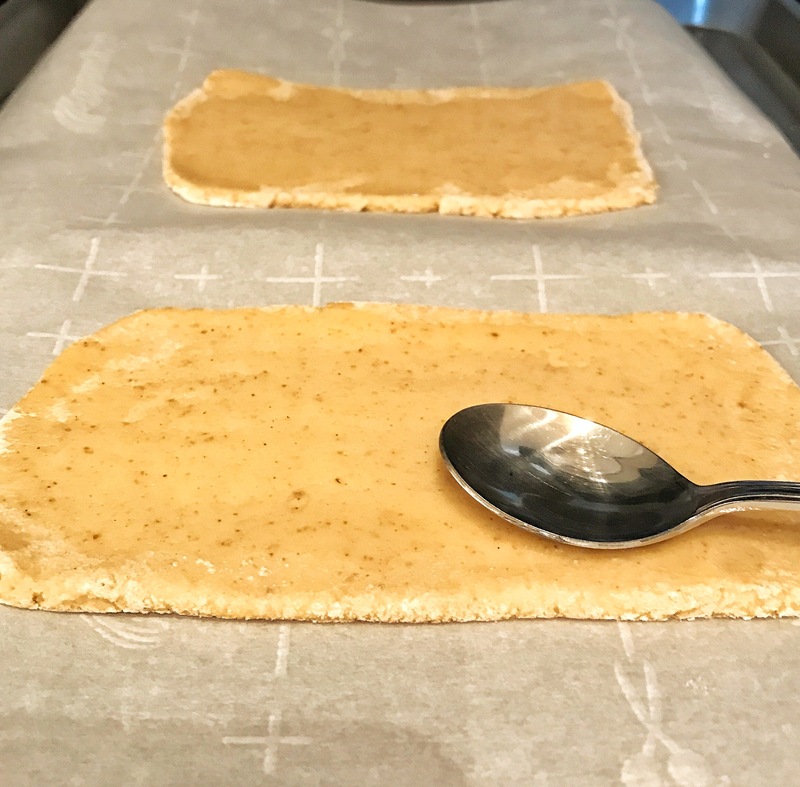 Transfer on a lined baking sheet. 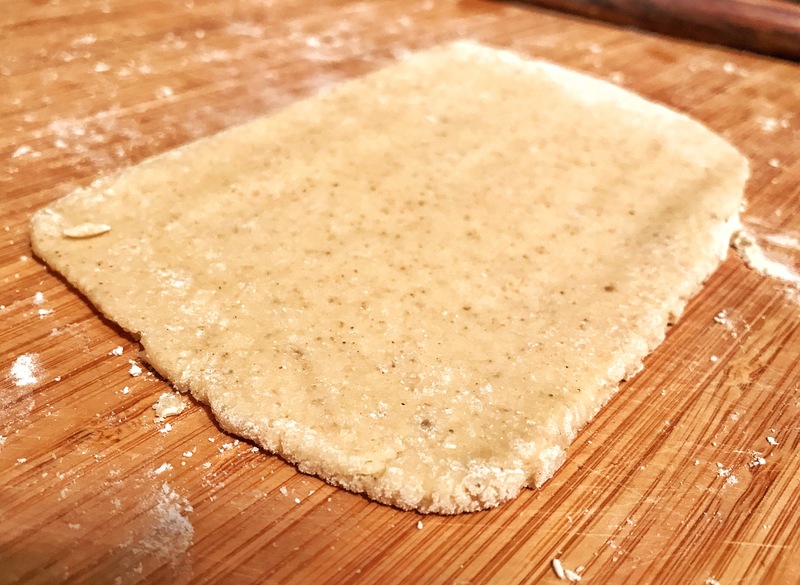 Spread some olive oil on the rolled out dough. Spread out a chunky layer of Bhurji on top. Sprinkle with some grated Parmesan. Garnish with the chili. Bake in the oven for about 15-20 mins till the edges turn golden brown. 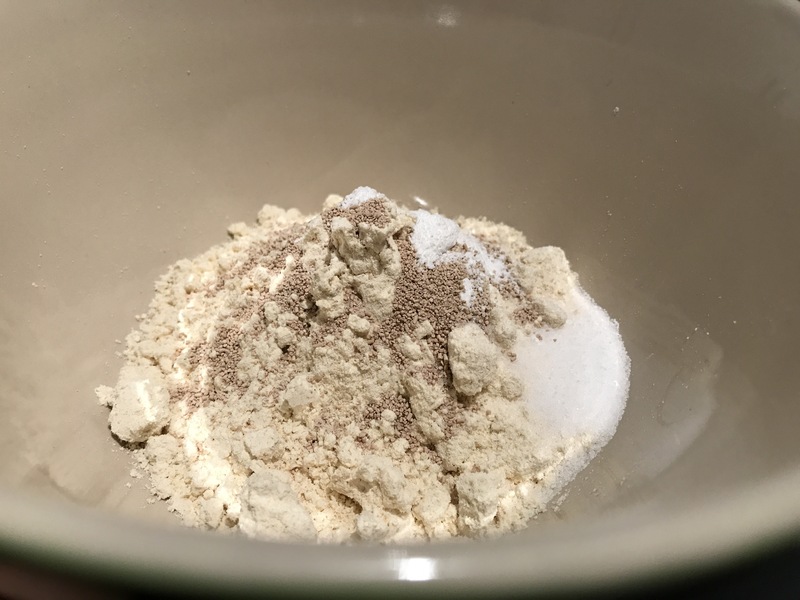 Do not over bake as the gluten free dough can quickly turn into a sheet of rock!﻿ dig in! Thank you so much! Would love some feedback once you try it! 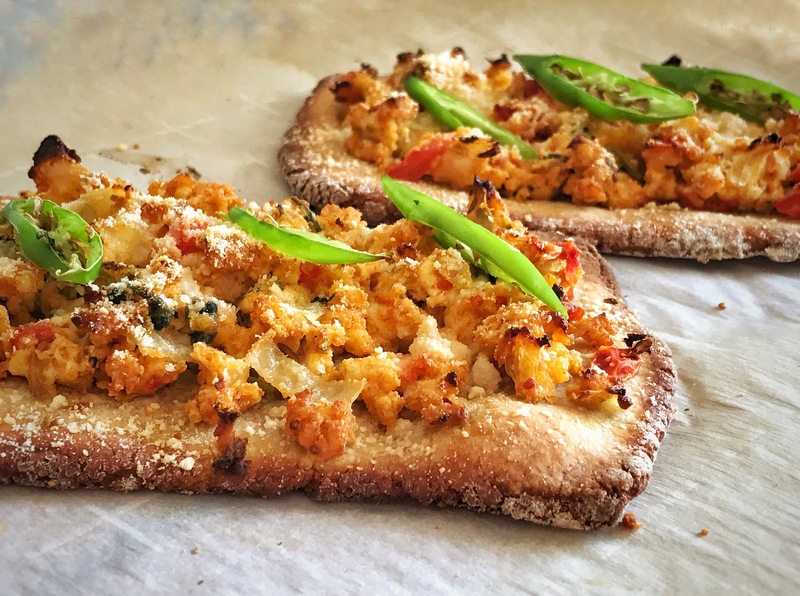 Pingback: Egg Bhurji Flatbread with Gluten Free Crust. | Retired? No one told me!